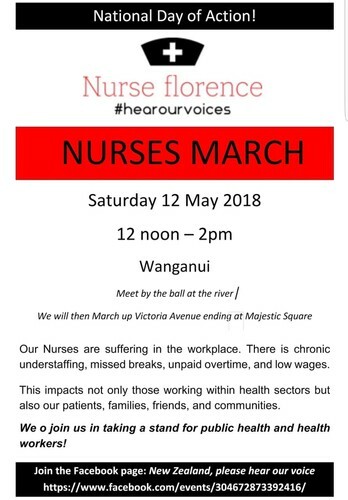 We are marching for all of the nurses in New Zealand to ensure that our voices are heard. We urge you all, every Nurse, every health care professional, every patient, every member of the public, everybody that can, to join us in taking a stand against the failing health system. We will be rallying all of our supporters and marching in as many towns and cities around New Zealand as possible. Save this date in your calendar. More details to follow.